Hello everybody. We've had some requests for more information about the sources that inspired our recent album, "Lone Prairie". We love listening to old string bands from the 1920's and 30's, recorded on 78rpm records, as well as to more recent field recordings and other sources. These recordings filter through our brains and emerge in the music of the Down Hill Strugglers. Here is a list of the songs on "Lone Prairie" followed by historic recordings that we love listening to. We hope you will find them and enjoy them as much as we do. Lone Prairie was recorded in the spring of 2016 at the Jalopy Theatre in Red Hook, Brooklyn – one of the warmest, best and only folk clubs in New York City. The band used two microphones, and played directly into a mono Nagra one-quarter-inch tape machine. They either ducked away from or leaned toward the mic to get their sound levels right. Then they stopped monkeying with the recording altogether, which is surely part of why it feels so pure and urgent. It is energizing in the way that looking at a river is energizing. So what does it mean for a young band to make music like this right now? Our cultural moment certainly allows for (if not encourages) gratuitous elevation of the Self above all – but the Down Hill Strugglers think about their work differently. Each of these tracks takes inspiration from the rural visionaries of the early twentieth century, from the melodies and expressions that once guided and sustained whole communities in the Mountain South, the Deep South, and Way Out West. 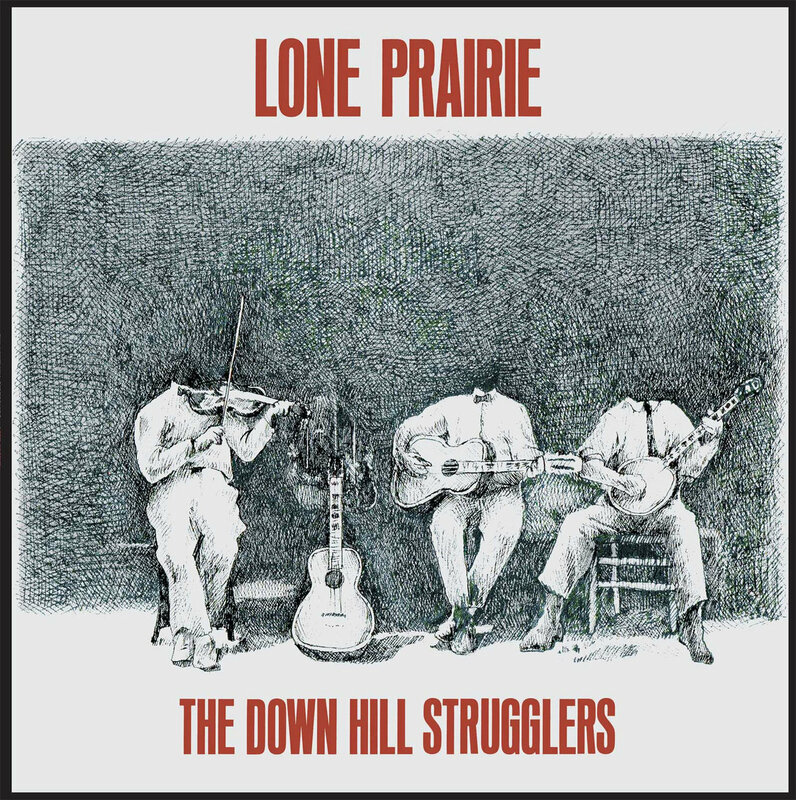 Lone Prairie is an earnest monument to the rural artists and songs this band loves: the Mississippi Possum Hunters, the Skillet Lickers, Bill Shepherd and Dock Boggs, the Carolina Tar Heels, Frank Blevins, George Pegram, Wilmer Watts, and many others. Using lovingly excavated 78 r.p.m. discs as source material – Walker, Jackson, and Eli disappear inside these tunes. In this way, the Strugglers become part of a continuum. Their performance is less about ardent self-expression and more about empathy, of finding a way in to other people’s anguish and elation: understanding it, bodying it anew, respecting it, and carrying it on. They pay homage to and remake in equal measure, as artists have been doing for centuries. This, I believe, is the best and most useful work a folk musician can hope to do.